Industrial revolutions have shaped and forged modern society. The world we live in now is a direct result of the first steam engine and mass production of the assembly line. But how many industrial revolutions have there been so far? If you think the answer is three, you’re wrong. 10 years ago when you watched a documentary on TV about a modern manufacturing plant you were impressed by facts like: “this facility can make 2.000 toothbrushes in an hour”. This was followed by footage of a machine making toothbrushes with unbelievable speed and precision. Toothbrush after toothbrush popping out of the machine, ready to be packaged and sent to stores around the world. But that is the past. The industry has advanced. It’s not all about the number of products by the hour anymore. If you’ve watched a documentary about that same factory today you would learn that the whole manufacturing process is now connected and online, that the data is being uploaded to the Cloud, and that you have access to a dashboard, where you can track things by the second. In short, Industry 4.0 is not arriving, it’s already here. The so-called 4th Industrial Revolution represents the transformation from manufacturing automatization of the last century to the age of “smart factories” and connected equipment of today. Now, it’s not just about how fast and efficient your production line is, it’s also about what data you can gather from the manufacturing process, and thus improve it. The industrial Internet of Things (IIoT) is a vital part of this technological revolution. Since IoT is about connecting things to each other, you’ll be right when you assume that IIoT does the same thing in an industrial setting. Manufacturing, healthcare, energetics, retail – everyone is benefiting from connected systems. One of the main difference between IIoT and industry 4.0 (even though they are sometimes used as synonyms) is that industry 4.0 primarily focuses on manufacturing, whereas IIoT focuses on all sectors where professional equipment is used. The main benefits of IIoT are: improved communication and the possibility of fine-tuning. For example, a waste management plant in Tuscany wanted an easy way to monitor their biogas production. So, a company called Things on Internet (TOI) gave them an IIoT solution. They implemented a system that monitors the production of CH4 and O2, measured pressure, temperature, and humidity, and then visualizes all that information on a dashboard. By setting up a selection of sensors and establishing a wireless connection (LoRa) TOI has created a system that efficiently performs data acquisition and data analysis. The central part of this IIoT system is the 4ZeroPlatform, a plug-and-play data gathering, processing, and reporting solution. It’s a complete, adaptable and Machine/Cloud independent IoT Stack composed of a smart acquisition unit (4ZeroBox) and Cloud analytics and dashboard (4ZeroManager). The great thing about the 4ZeroPlatform is that it’s easily integrated with both old and new machinery. This allows companies of all sizes to achieve full visibility and optimization of their industrial processes. So, if a higher level of pressure is detected in one part of the system, the waste management plant knows it, the second it happened. With this knowledge, they can react faster, achieve more efficient production of biogas, and cut their costs. What’s important to point out is that IIoT is spreading to every industry and every country. Moreover, every industry can benefit from IIoT. Take agriculture for example. It’s the basis of civilization, and most of us think of it as something primitive, certainly not a high-tech area of industry. But smart farming is sweeping the globe. In one way global warming and extreme weather have made farmers turn to technology for a solution. In other ways, it’s the demand for increased production, due to an ever-growing population. Whatever may be the case, IIoT is presenting an effective solution. With the help of various sensors fields are being monitored every second. The farmer knows what the basics are, like the temperature and humidity. But he also knows what the humidity of the soil is, what percentage of nitrogen the soil has, the irrigation is automated and under his control, etc. Crops like these yield far more than conventional ones. The water usage is lower, production costs are lower, it saves time, and reduces pollution. But let’s take a look at another industry that you wouldn’t suspect of benefiting from IIoT. Fashion is a 2.4 trillion dollar industry, and the IIoT is slowly starting to enter its premises. TOI’s smart retail solution is focused on enhancing the customer’s shopping experience by measuring their behavior while they are browsing items, and responding. Is the customer looking at that pink dress in the window? The system will start rotating the manikin on which the dress is on so that they can appreciate it from every angle. The system also offers retailers amazing analytics, almost as if they’re looking at social media statistics – how many views did an item have, how many passersby stopped by the window of the store, how many interacted with it, and so on. Of course, this is only the beginning. In the coming years, technology is only going to be incorporated more into the fashion industry. You can take a look at other ways TOI is helping businesses join the fourth industrial revolution here. For the most part, the hardware is not a problem in industry 4.0 and IIoT. But there is a challenge within the software side that needs to be handled. Since it’s not just engineers who are incorporating the IoT into their work, the software side of the puzzle needs to be simplified. You are most probably familiar with Arduino – a series of development boards based on various 8-bit and 32-bit microcontrollers. They are easy enough to use by anyone with a bit of know-how in electronics. The same goes for RaspberryPi or UDOO or Adafruit boards. They have all brought a new way in which people make IoT prototypes. Be it for robots, or LED curtains. They are cheap, easy to use, and simple. The same kind of revolution has not happened on the software side of the story. On the code level, for IoT prototyping people still need to use C/C+. Different problems arise for people from different backgrounds. For makers lose a lot of time learning how to code multithreaded behaviors, or how to manage interrupts in C++. Furthermore, they love their patience with code that’s hard to maintain. Product designers, on the other hand, are trying to design certain behaviors that can exist at the same time, and are presented with anomalies and failed installations. Then we have the programmers, who are trying to handle the lack of multithread, interrupts, callbacks, timers, and more. And most importantly, all of them need to write the code from scratch when they change from one board to another. This is where Python comes into the picture. An interpreted, high-level, general-purpose programming language that’s getting more and more popular every day. It is essentially an ecosystem of software tools to program microcontrollers in Python and connect them to the Cloud. This toolset allows a mixed C/Python programming environment. This kind of programming is extremely powerful in scenarios where your project needs low-level code for time-critical tasks, while it keeps the famous Python flexibility and readability, for all the sections where time is not critical. Secondly, Zerynth is 100% agnostic towards hardware platforms. Thanks to the Zerynth VM, Zerynth tools are compatible with a wide range of 32bit MCU devices. 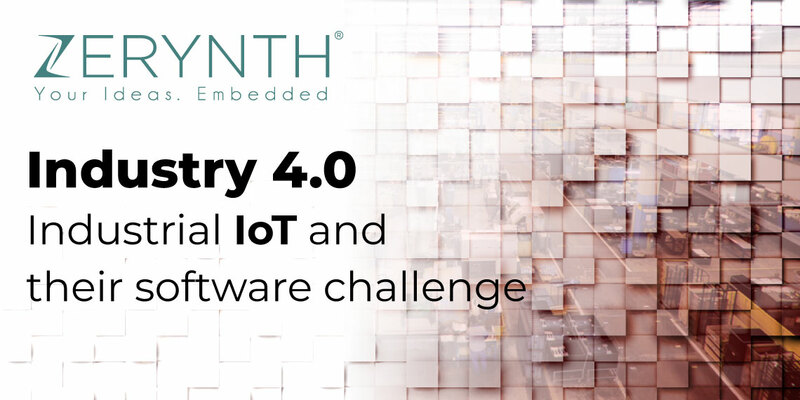 When it comes to the programming side, of the most common prototyping platforms, the main advantage of Zerynth is that it provides an integrated stack that goes from the firmware development to Cloud connection. Let’s be honest, Python is easy to use and easy to work with. Compared to C, it’s a breeze. It’s portable, dynamic, and object-oriented. What’s more, it has extensive libraries and a devoted community that supports it. That is why Python will continue to rise in the embedded field.